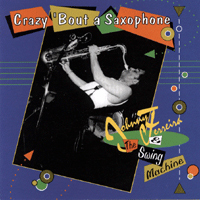 Johnny Ferreira - Rock & Roll Sax music that jumps with a big swingin' beat! "... Electrifying, exciting and entertaining!" "... Ferreira blows with a muscular intensity that depends on sheer power and vitality"
"... Now this is real alternative music from Canada's wildman of the sax!" Let's Face It... It's All About The Music!